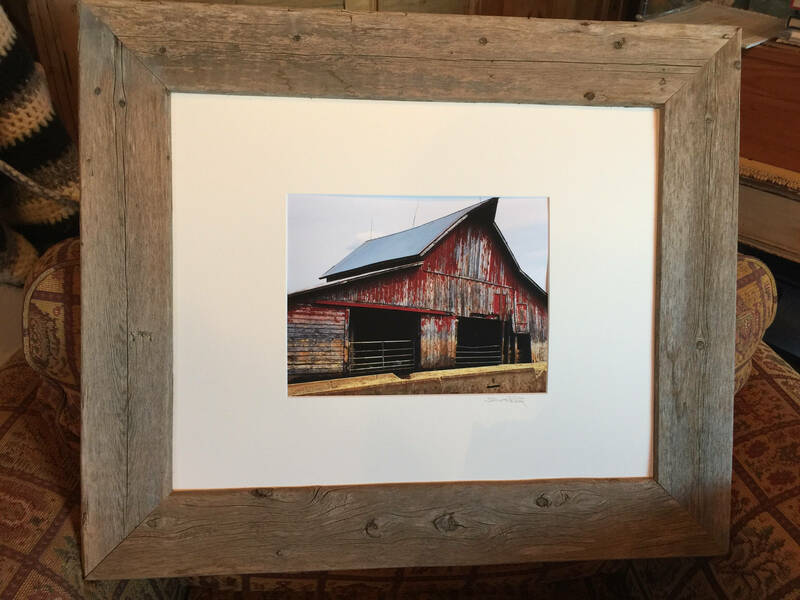 The new LIMITED EDITION Farm Collection! 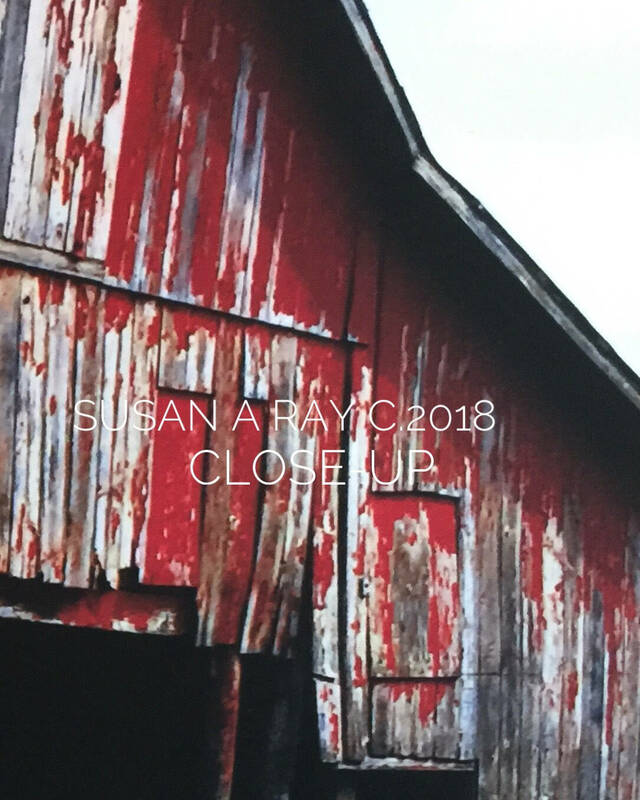 Our Red Barn by Susan A Ray of OneHealingStone Studio Copyright 2018. 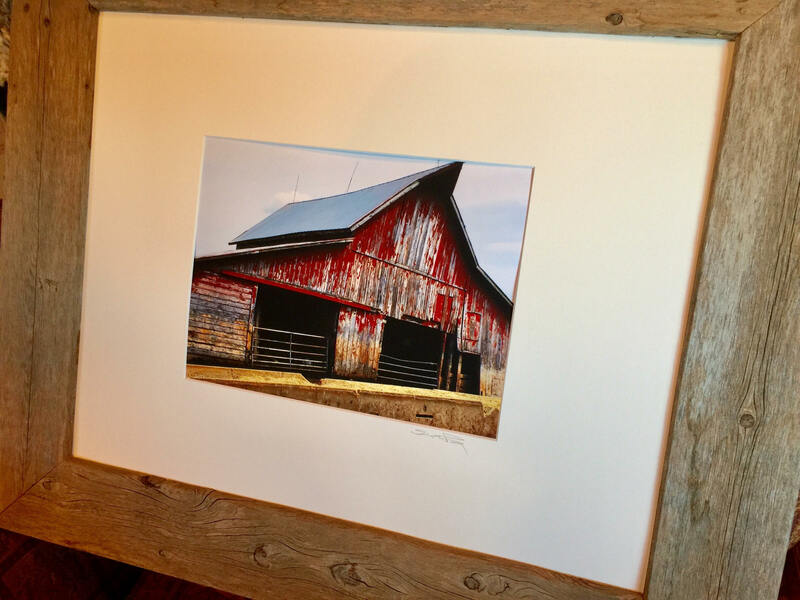 I did this collection because the barns I walk passed each day on our farm are almost invisible unless you are willing to look very closely. Generally seen as crumbling buildings of a past generation, yet revealing reminders of the dedication of our fathers and grandfathers and the hard work it took to industrialize this country. 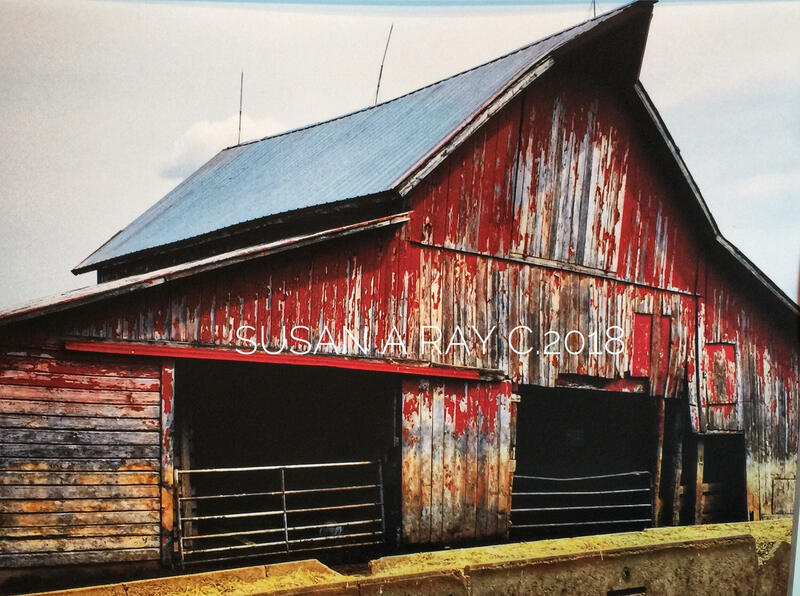 Over the years these barns served so many: farmers, their families, their communities. They sheltered animals that grazed on this land and stored hay and other crops, held machinery and made tools handy. They are monuments to getting up every morning with more work then a 12 hour day can get done and doing it again day after day after day with hardly any let up, yet today they are virtually disappearing from our Iowa landscape and our history. Every nick against a barn door, every nail bent out of place, every ounce of worn paint and hand forged yet rusted hinge, is a tribute to the men and women who put food on America’s table and never ask for more than a smile and fair paycheck for their hard labor. I hope they beckon you to look further into your own surroundings and realize what it took to get you to the present day. It might truly surprise and delight you, too. 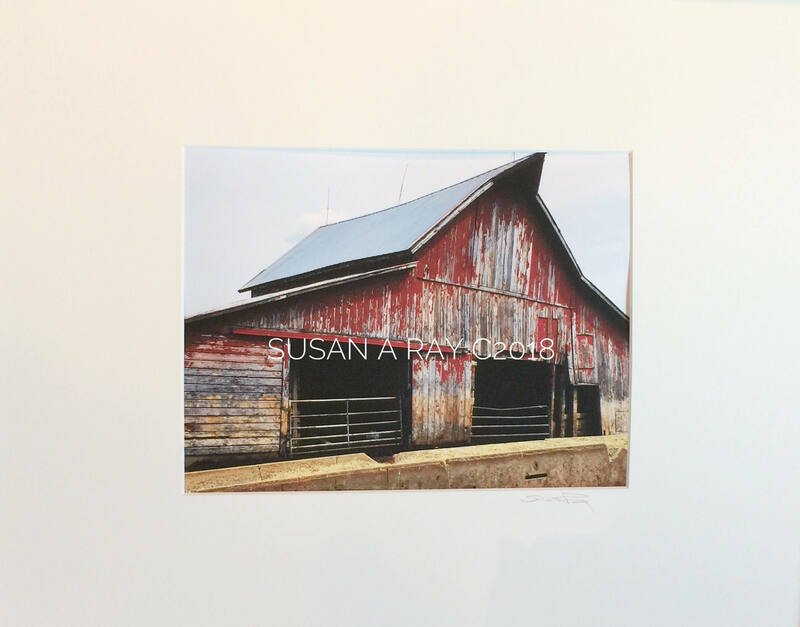 Susan’s images were created from an original photograph and then crafted into a digital art journaling print. (Each piece has significance in her life and it’s own story to tell (and often takes approximately 40 hours to complete the artwork before it is ready to print). These prints are of a very limited edition, at most 48 prints of any art image are ever made. Printed with fade resistant commercial inks. Very vibrant details. (See closeup photos). Each is printed on high quality, archival paper and has a matte finish. 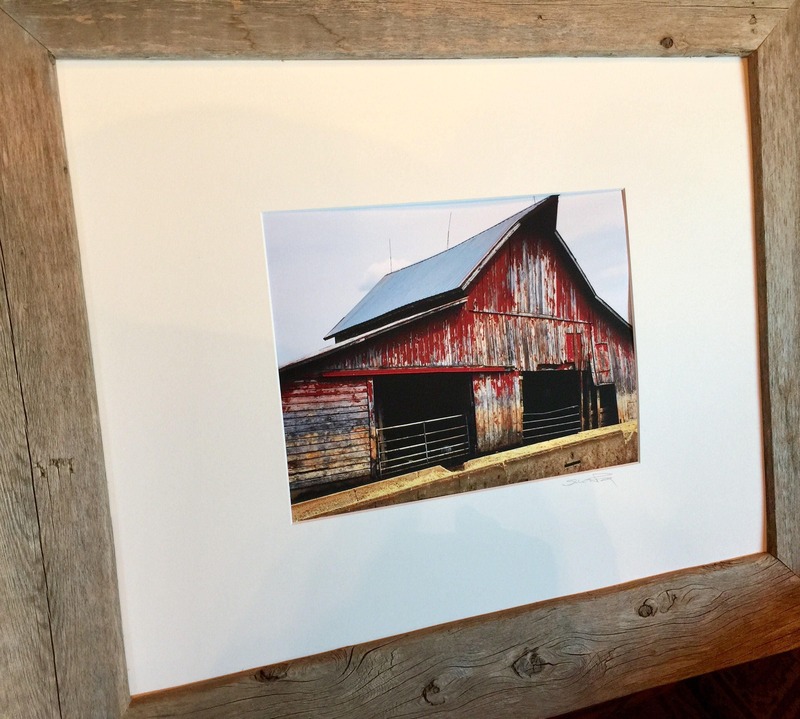 The matting emphasizes the image with the contemporary look of oversized matted borders. It is a light cream mat that is almost white. Comes sealed in acetate sleeve with backboard and is shipped in a standard white art mailer box. Overall mat dimension is 16" X 20". Inner mat cut: 10.5" X 8"
Shipping is free in the continental USA. Shipped in standard white art mailer box. Shipped MATTED w/ backboard in acetate sleeve in standard white art mailer box. Frame NOT included. (Please mention it is for one of my prints when ordering). Susan A Ray has spent her career in retail product development/merchandising for Horizon Group USA, Ideaforest/JoAnn’s Fabrics, Ben Franklin Retail Stores as well as Frederick Atkins (a residential buying house) and Peck and Peck of New York. Her work includes an ever expanding variety of crafts, techniques, finishes and trends which tend toward the earthy, repurposed looks foraged from today’s remnants, vintage findings and sometimes featuring the finely crafted components of fellow artisans and friends. Susan also opened the first Bead Shop in Galena, IL. and went on to publish 5 books about beading. She is a best selling author. Her books include: Beaded Jewelry: The Complete Guide, Organic Beaded Jewelry, Art and Soul of Glass Beads, Wire Jewelry Workshop and Easy Beaded Jewelry (written with her best friend, Sue Wilke), offering techniques and tricks to teach and inspire you to create your own designs. (The books are available on iTunes and Amazon digital books. Occasionally Susan has hard copies for sale that can be autographed. Ask about purchasing a signed copy at checkout). Susan has been featured in numerous national publications including Belle Armoire Jewelry for Stampington & Company in many of the quarterly issues over the past few years as well as Better Homes and Gardens (Special Interest Publications) and Woman’s Day magazine in years passed for felted dolls and other crafts. Susan spends much of her time in her studio: OneHealingStone. You can find her at http://www.onehealingstone.com or at her FB group: Crafting Jewelry Inspiration.